Your prayers have been heard! You have begged to Comedy God, walked the West End streets on your knees (no guts) – and he’s answered, he definitely has! 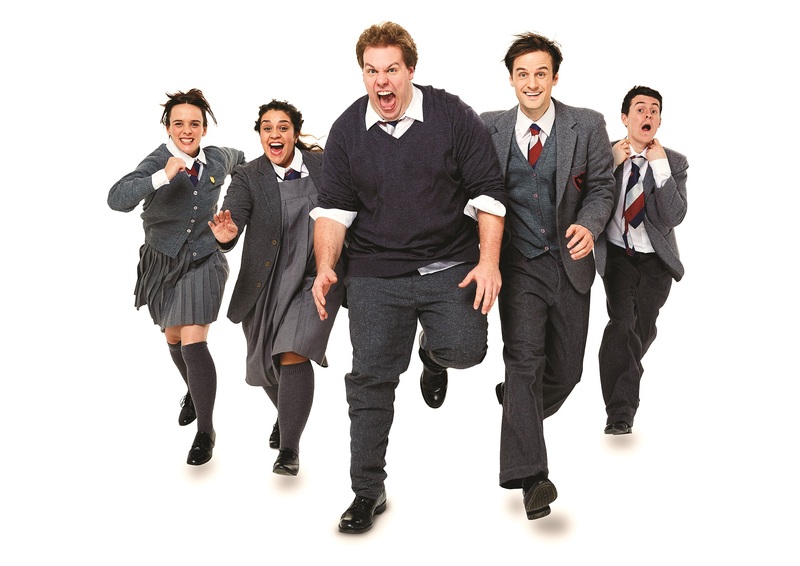 Because from September, the members of the Mischief company, creator of the smash hit ‘The Play That Goes Wrong’, will be the new tenants of London’s Vaudeville Theatre. But since their imagination can be quite productive until August 2020, it won’t be one but three new plays that we’ll be able to enjoy until the end of their stay. The first bet will be ‘Groans Ups’, a play that thinks over the process of getting old – always through humour. Written by Henry Lewis, Jonathan Sayer and Henry Shield, the plot is set on a high school classroom led by anarchy, whose pupils (not much of teenagers anymore) will answer to some questions we all have wondered some time: are we the same people at 30 than we were at 13? Does school life determine our future? Do we ever grow out of our school crush? Directed by Kirsty Patrick Ward and starring Dave Hearn, Henry Lewis, Charlie Russell Jonathan Sayer, Henry Shields and Nancy Zamit alongside Bryony Corrigan, the montage will open in London thanks to the collaboration of producers Kenny Wax and Stage Ltd, along with the Nimax Theatres group. The next two plays, which promise the same originality that characterises Mischief, will be announced throughout the season, which serves as the company’s return to the West End since their last appearance in 2016. ‘Groans Up’ will be performed in London from September 20th to December 10th. Tickets are available from 20 pounds and can be purchased on the following link.